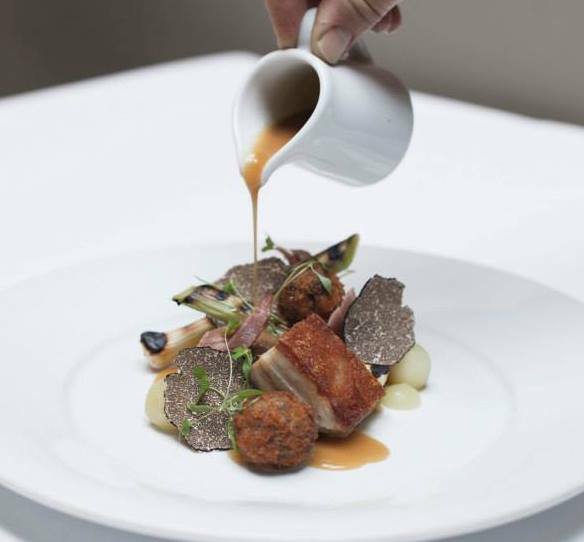 The food style is predominantly British, taking inspiration from classic dishes and modern cooking techniques. 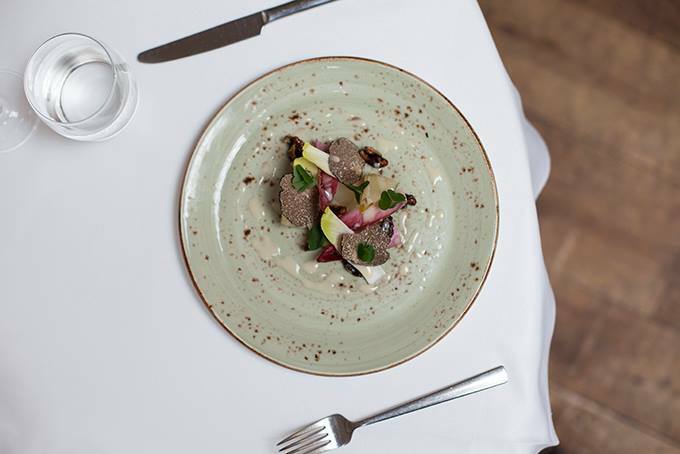 Everything is prepared on site, locally sources where possible and plants, that are foraged by our chefs. 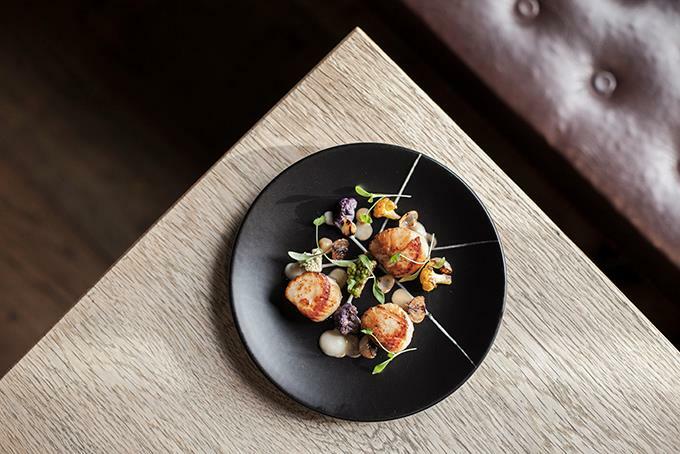 Our a la carte and tasting menus evolve with the seasons and utilise the very best of the diverse ingredients the West Country has to offer. We visited on Easter Sunday, and to be expected, it was absolutely heaving. This did not however effect the service we received. We had booked a table and although the bar was extremely busy, we were very quickly shown to our table. The staff were brilliant particularly in light of how busy it was and of the course the added pressure of the nice weather. The fish stew and the pork rillettes were both beautiful and the roast beef and lamb was also lovely. It was a nice surprise to have such a large roast and the meat and vegetables were cooked perfectly. We will definitely visit again. 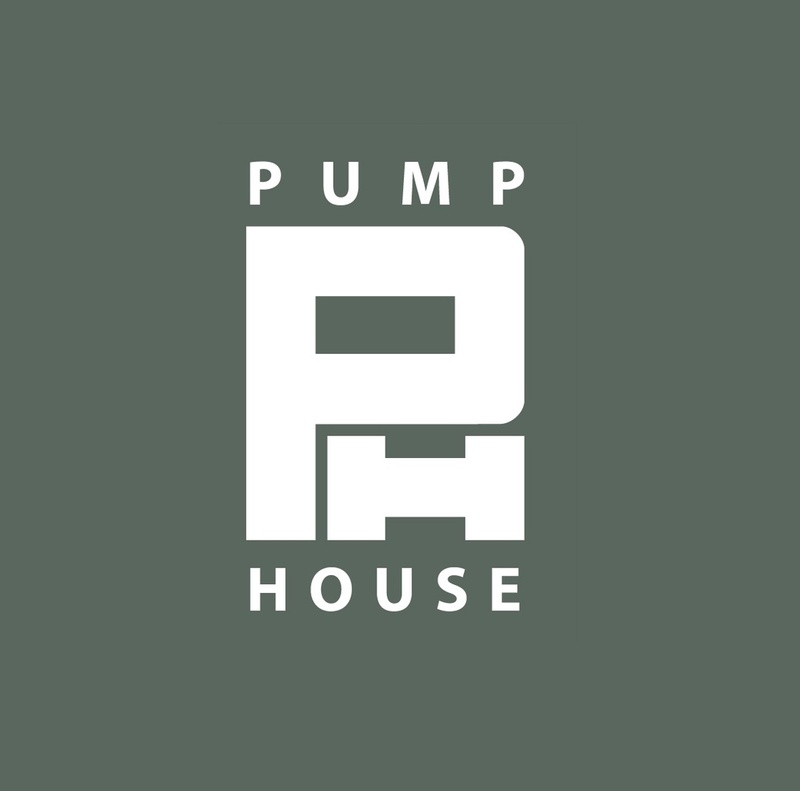 I have visited the pump house maybe a dozen times now, and I am always impressed with the staff and the standard of food and drink. Food, drink and atmosphere all great. We had a lovely table upstairs and thoroughly enjoyed our evening. Our only frustration, even though the staff were extremely friendly and helpful, was that we did struggle to get their attention when we needed something. By way of example, one of our drinks (glass of wine) was forgotten and finding someone to ask took a while. It then arrived pretty close to the end of our main course which wasn't great. That was hopefully a one-off and we will certainly be back for more good quality food and drinks choices in a lovely environment. I booked the Pump House for a special birthday. Kerry could not have been more helpful. Fantastic service. Service was very slow even though we booked in advance, we were happy to pre order but were told it was not necessary. We were a table of 14 so granted that takes a while but we waited over an hour for food, after chasing up on the status. Food was ok, but well overpriced for what you got. The waitress did give us a free round of drinks to apologise for the wait which was appreciated but unfortunately that doesn't really change our review. A very enjoyable evening. The person who served us, unsure of his name, was very knowledgeable about the food, beer, wine and gin. Visit for Sunday Lunch to celebrate a Birthday. The Roast Beef was cut thickly and was tough. The Waiter provided us with complimentary desserts. A busy Sunday but a high standard of service maintained. 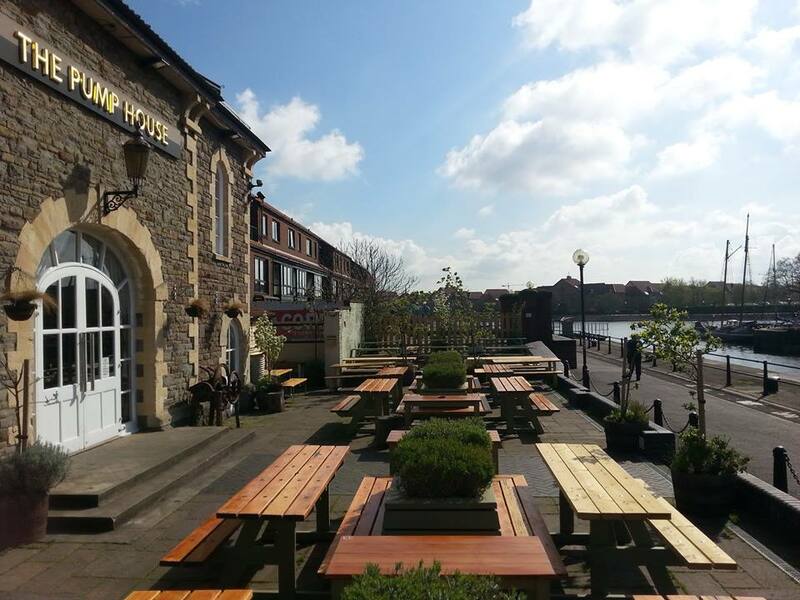 I had the most fantastic 30th lunch at The Pump House, the staff were incredible and accommodating such a large group didn't seem to be a problem at all. The food was glorious and overall you guys made my birthday extra special! I will be back again and again and again! It is unwise to advertise plaice on the menu and serve ray wing without informing the customer before serving it! I wanted to give feedback because we had a really bad meal the last time we were here & it took a bit of persuading to get my parents to try you again. This time the food was faultless & very good service to boot. Thank you for restoring our faith! 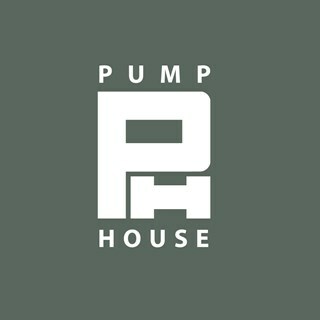 I highly recommend dining at the Pump House. I chose the restaurant as the venue for my 21st birthday event, and they put on an excellent lunch for seventeen of us. We were served by Michael, who was welcoming, attentive and efficient. Had Sunday lunch, lamb was quite grissly and the skate wing was over cooked. The veg and salmon starter were nice. Service was fine, relatively attentive until the end when our coffees were forgotten about and so arrived pretty cold and my cappuccino had way too much chocolate powder on top so had to scoop that off. Had a nice time, so an average review. Great meal, great value, will come back. Had a lovely Sunday lunch with my family with delicious food and excellent service. Thank you very much for a great day. Despite being a monday in January with an empty restaurant, lovely place to sit and nice atmosphere. Staff were friendly knowledgable and professional, food was fantastic. Gin and wine selection was also great. Highly recommend and will be visiting again. Great pub, food and staff. 100% recommend. Great time , super service, excellent food. The wine list was a bit on the expensive side. Lovely meal with great service and food. Limited choice of dishes because few of the dishes from the menu were not available. Burger and vegetaian dish were not good at all, no quality. A huge deception on the quality of the food, I wont recommand the pump house for the food. We had an incredible Christmas Party, the food was absolutely delicious and all staff were perfect in making sure we had a great night. Our Christmas dinner was beautiful the food was delicious, that being said my scallop start was on the very small side which was disappointing as it carried a supplement. However the venison main was superb. The wine list was also over priced for the wine that was available . These things aside the meal was really good and all of our party gave very positive feedback as being there best Christmas meal as a company so far. Our service was relaxed but that did give us time to enjoy our meal and we did not feel rushed. It was a shame that we were on two tables which did mean that our group was a bit fragmented and conversation was harder to bond the group together.